This is a panoramic view of the city of Globe, looking northeast from "G Hill." 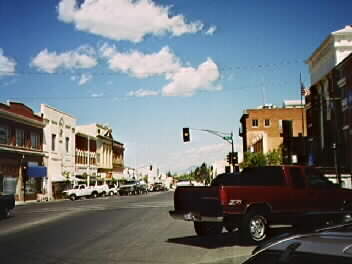 The old Gila County Courthouse can be seen in the photo, as well as many other historic buildings in the center of Globe. 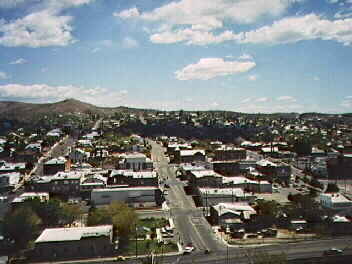 This is a view of the center of Globe, near the old Gila County Courthouse (now the Gila County Center for the Arts). 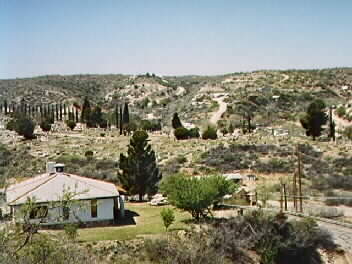 This is a view of the famous old Gila County Courthouse in the middle of Globe. This building was constructed in 1906 to replace the previous county courthouse (1882); however, the lower part of the building is from the old building. It was in the old building that the famous trial of the Apache Kid was held in October 1889. Behind this building several nefarious characters were legally hanged for their crimes. The old Sheriff's Office is still located behind the building. 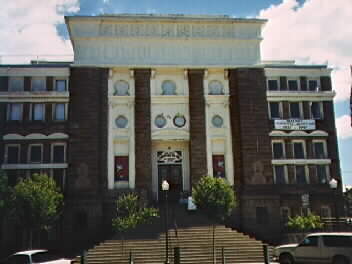 The "courthouse" is now an artists' center (Gila County Center for the Arts). This is another view of the old Gila County Courthouse. To the left can be seen a Woolworth's store. It is famous as being the oldest Woolworth's store still in use west of the Mississippi. It was originally built as "Sultan's Store," and in 1914 was acquired by Woolworth's. About three years ago Woolworth's desired to close the store, but so many people protested in Globe (including many Apaches, several generations of whom grew up using the store) that Woolworth's management agreed to continue its use. 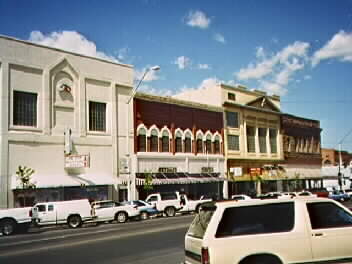 This is a view across the street from the old Gila County Courthouse of the Oddfellows' Lodge (white building on the left), constructed, I believe about 1893 (quite old for Arizona). 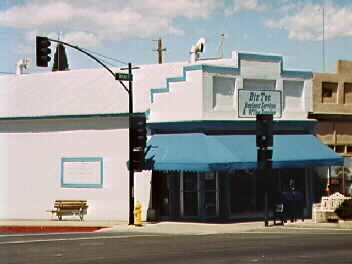 It is one of the oldest Oddfellows' Lodges in Arizona. In the 1890s several fraternal organizations were started in Globe, mainly by miners who had by that time "made their fortunes" and were permanently settled in the area. The organizations were very powerful in Globe at the turn of the century. 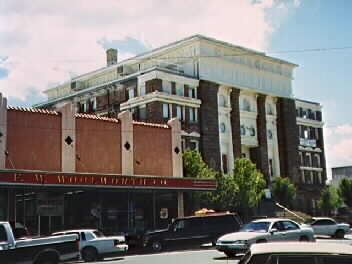 The next building to the right is an 1890s business building, and the next building is the Masonic Lodge, built in 1898. This is a view of the oldest building in Globe--directly in the center of the town. It was built in 1878 to house old "Judge" Aaron Hackney's newspaper the Arizona Silver Belt. Through the years it is has changed hand many times, currently occupied by a business supply store, "Biztec." The building is actually adobe with plaster facing. A store front of brick was also placed in front of the adobe that faces the street. This is a view of the old portion of Globe's graveyard. It is surprising just how many of Arizona's "famous old-timers" are buried here, including: Chief of Scouts Al Sieber, Sheriff Glenn Reynolds, "Judge" Aaron Hackney, Phineas Clanton, Ed and Braulia Tewksbury, Tom Pascoe, George Shanley, Eugene Middleton, and many others. I know there are also some "buffalo soldiers" buried there, but I'm not aware of their names.